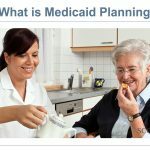 Medicaid planning is structuring your finances and assets to optimize your ability to pay for coverage of the future costs of long-term care, such as in-home or nursing care. Medicaid planning is similar to tax planning; we all want to look at our financial situation to minimize tax liability throughout our lives and to our estates after we die. Medicaid planning is the same–it’s possible to minimize our out-of-pocket care costs through Medicaid eligibility. Financial strategies, supported by the laws of the state in which you live, may be utilized so that one spouse may retain assets while the other spouse can be supported by Medicaid for their long term care costs. Many of these laws are in place so that a healthy spouse isn’t punished financially while the care needs for the ill spouse can be supported via Medicaid. WHY DO I NEED A MEDICAID PLAN? We all know that any form of long-term or nursing care is very expensive. As we age, particularly when one spouse requires long-term care and the other can live independently, the concerns about financial security for both are considerable. Medicaid planning can provide Medicaid eligibility for one spouse while preserving assets for the healthy spouse. Ideally, your Estate Planning will be put in place long before any question of Medicaid eligibility arises–while you are still living independently and healthy. Medicaid planning can be done once the need arises, but the process requires time, expertise and patience. The sooner you establish your plan, the more options you will have available. HOW CAN I DETERMINE MY MEDICAID ELIGIBILITY? How your finances compare to the federal and state guidelines determines Medicaid eligibility. Your current health situation figures in as well. 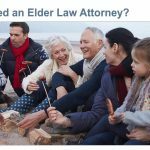 It’s a complicated analysis that a professional such as an elder care attorney should undertake with you. Items such as income, real estate, savings accounts, brokerage account balances, and insurance policies are among the items that can determine your eligibility. Again, it depends on the state in which you live. Eligibility may differ slightly for married and single people. A professional’s assessment should be done before you fill out any forms to apply for Medicaid. WHAT WILL MY MEDICAID PLAN INCLUDE? Everyone’s financial situation is unique, and every state has different guidelines, so there are no hard or fast rules about what your plan will involve. The simplest form of Medicaid planning is having an experienced professional assist you with filling out the application forms. If your eligibility is straight-forward, this is the right path for you. Establishing irrevocable trusts. This removes certain assets from your eligibility calculation. A transfer deed for your primary home. When the well spouse plans to continue to live at home, your state may allow a deed transfer into the well spouse’s name. This will protect the home from liquidation to cover costs of care. Establishing an annuity. An annuity can help you “spend down” assets per the Community Spouse Resource Allowance (CSRA) for your state. You purchase an annuity with existing assets; the annuity provides a source of steady income for the healthy spouse, while setting up Medicaid eligibility for the ailing spouse. James (80) and Julia (77) live in New Jersey. James has recently been diagnosed with Dementia. He will need to move to a memory care residence since his care needs will soon go beyond what Julia can handle. His memory care residence will cost $8,000/month. The couple’s Medicaid-countable assets total $250,000. Julia’s goal is to get James eligible for Medicaid and move him into the memory care facility she has chosen–while providing income for herself and preserving their assets. Julia makes an appointment with Scott Bloom, an eldercare attorney, to put together her Medicaid plan. She brings all of their financial information with her to the appointment. For starters, Scott states that James’ and Julia’s community assets must be “spent down” to $123,600, under New Jersey law for the Community Spouse Resource Allowance (CSRA) threshold. Right now, James and Julia are currently over New Jersey’s CSRA by $126,400 ($250,000 minus $123,600). Scott recommends Julia set up a Medicaid–compliant annuity which will be funded by their CSRA “excess” of $126,400. The annuity is set up for 5 years, which will give Julia a monthly income of approximately $2,100, on top of her existing $1,500/month pension income–for a total of $3,700. There are other components in James’ and Julia’s Medicaid plan, like the calculation how much of James’s income will go toward his Medicaid co-pay. 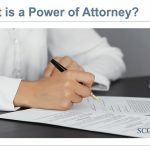 This scenario is a bit lengthy for a blog post–see your eldercare attorney to dig into the details of this aspect of your plan. • The Medicaid system is subject to yearly changes in federal and state rules, so it’s best to retain a professional who is up to date on the law–someone who can counsel you throughout the application process and can alert you of pending changes to the Medicaid system–especially when it’s time to apply for your annual eligibility. 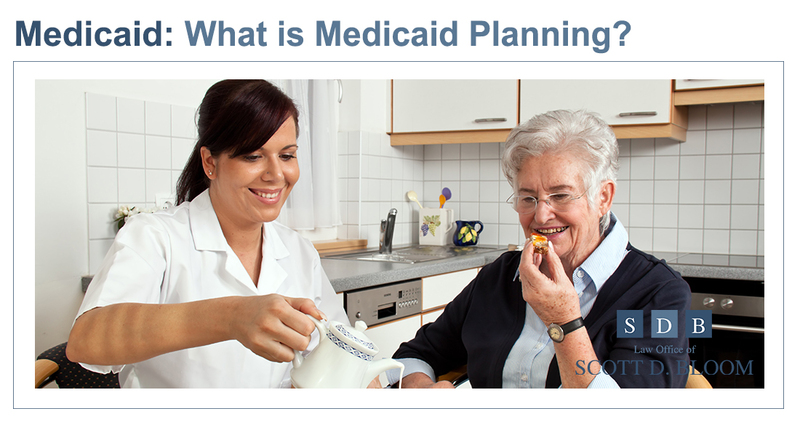 HOW DO I PREPARE FOR A MEDICAID PLANNING DISCUSSION? Most recent tax return–federal and state. Annual income statements–pension, social security, annuities, etc. To get started with your Medicaid Plan, talk to the professionals at the Scott D. Bloom Law office.